The Farm Heritage Trail is a scenic driving route through the rural agricultural communities of Alexander, Leicester, Newfound and Sandy Mush in northwest Buncombe County. The public is welcome to travel the public roads of this trail and enjoy viewing the conserved family farms, with designated signage, that are along the route. The entire route is a leisurely two hour drive while enjoying a few stops along the way. Trail riders may choose to follow the specific route or enter and exit at any point, selecting farms they may want to drive by or visit along the way. We encourage you to support the local farms who are open to the public; they are designated with “Farm Stop” signage. They will have their hours posted at their farms and listed on the Farm Stop page. We suggest you download or print the farm stops page and the map/directions page to have with you on your journey. Here are a maps and directions of the trail. Internet connection can be limited. The Farm Heritage Trail will have an ongoing calendar of events, hikes, farm to table dinners, educational opportunities and fun activities for the entire family throughout the year. Check the events page to see what is happening along the trail, there is always something to experience and enjoy on the Farm Heritage Trail. The Farm Heritage Trail is a grant and donation based project. If you are interested, please donate to the trail! drive by the conserved working farms and appreciate them from the road. Multiple family farms are conserved along this Farm Heritage Trail. These are working farms that range from multiple generation family farms where beef cattle still graze the land to a mountain herb and native plant nursery. Because of these families’ commitment to farmland conservation, these lands will continue to be viable farmland for future generations. Farmland is one of our most valuable natural resources. It helps ensure that we have a safe and sustainable food supply, cleaner environment and healthier future. Once farmland is bulldozed and paved over, it is lost forever. Not only is it imperative that we save our farmland, but that farmers are able to make a living. When you buy directly from your farmer, pay agri-tourism fees for activities and ask for local farm products at your restaurants and markets, you help support our farmers. Enjoy this scenic drive, support our farms and learn more about farmland preservation. Please share our story and help us pass this legacy on to future generations. experience the farms! buy local produce, plants, take a farm tour, and meet a farmer! explore the seasonal events! 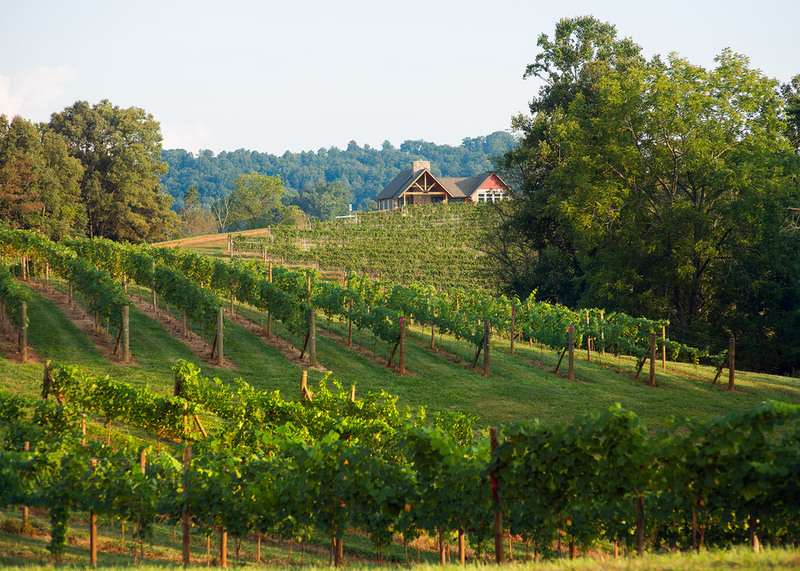 Take a hike, pick some fresh berries, taste some local wine! We welcome you to visit, connect with and experience our farms. Explore Asheville The official tourism web site of the Asheville Convention and Visitors Bureau with links to hotels, restaurants and activities. 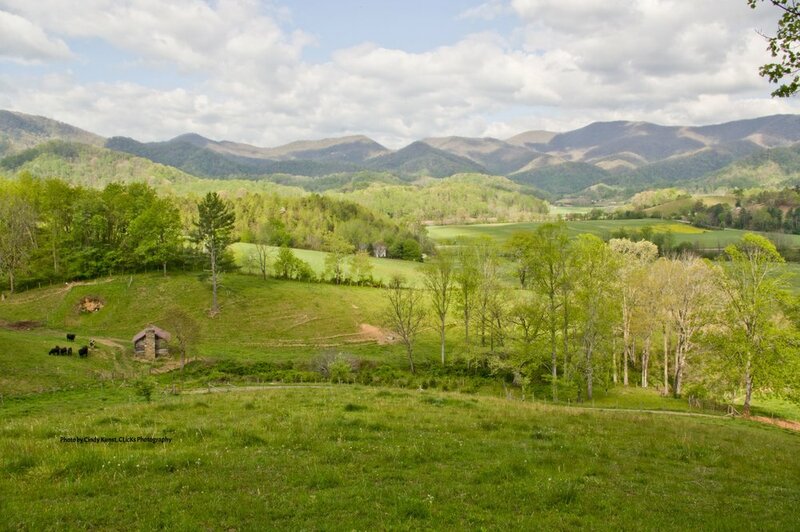 The Farm Heritage Trail, a project of the Buncombe County Farmland Preservation Program, encourages both residents and tourists to visit, connect with and experience our farms. We value the agricultural heritage and the future vitality of our farms. We value farming and land conservation practices. We value a thriving, local farming community that is both financially and environmentally sustainable. All photos provided by participating farms and Buncombe County Soil and Water Conservation District. Written permission must be granted for use of any images. Logo and Map design by Dianne Frisbee.